I love games where I get to hack my way through hordes of enemies, punch massive beasties in the face, and cleave through monsters in a single strike. But sometimes, I want to put down my two-handed war axe and take a break – perhaps open a cafe somewhere by the sea or settle down and manage an old bookstore in a sleepy town. How about a post office in a quaint village? If that sounds like a lovely retirement plan, then Willowbrooke Post is perfect for you. 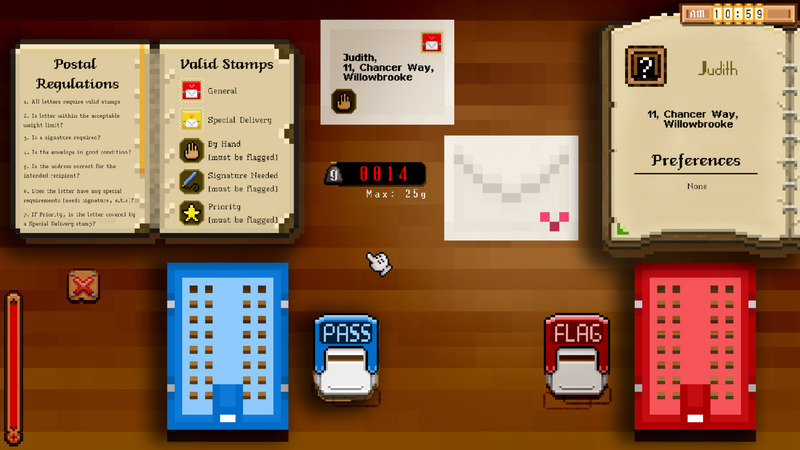 In Excalibur Games’ management game, you’re given the responsibility of running a small community post office. Your parents have left you in charge of Willowbrooke Post for a year – under mysterious circumstances – and so you must keep the family business going in their absence. It’s a relaxing and cozy role that involves letter organising, parcel wrapping and package sorting – yes, those are two separate jobs – as well as chatting to the weird and wonderful customers. There is a straightforward yet strict system that needs to be followed. You have to apply the correct stamps, approve letters for sending, sort between general and priority delivery – and that’s just for the letters. There’s also tracking finances, keeping the ledger up to date, and sorting out parcels. It’s like Papers, Please but more homely than harrowing. Running a post office and sorting through mail might sound mundane, but Willowbrooke Post has captured a peaceful ambience that elevates thesetasks. It has the same vibe as Stardew Valley where, as you commit to your daily duties, you get to know the community little by little. There is another way of learning about your customers, and that’s through reading their mail. If the humble life of a postal service employee is boring you, then you can steal packages labeled for Willowbrooke villagers. Didn’t like the tone that lady from No. 11 used with you yesterday? Looks like a package addressed to her got lost in the mail. Serves you right, Judith. Although Willowbrooke Post clearly follows the model of Stardew Valley, there seems to be a background narrative – one with potentially sinister undertones. Coupled with your parent’s sudden absence are the several rooms in your childhood home that are mysteriously locked – including an ominous looking attic. It’s difficult to say where that story will go, but it’s indicative of the alluring tone of Willowbrooke Post. 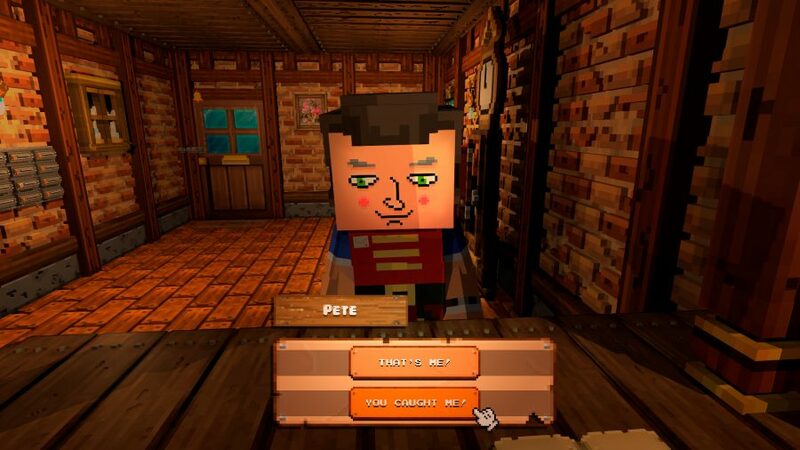 It’s a relaxing, Animal Crossing-like post office sim, but there’s something more mischievous going on underneath – like an envelope containing a rude birthday card.